When trying to get the most use out of your tools, you may want to add a specialized coating that will both protect and strengthen the material. There are a few options available, but one of the best is TiAIN. Today we want to look at how this process works and what makes it beneficial for your work. Titanium Aluminum Nitride (TiAIN) is a thin coating that was initially developed by adding aluminum to titanium nitride. The result is a coating for machine tools that is generally superior and more useful in most applications. TiAIN is a beneficial compound when it comes to coating machine tools because it offers high-performance durability and hardness while allowing you to work at high temperatures. Here are some of the reasons why you should consider using TiAIN. TiAIN forms a robust bronze outer layer that coats the tool with an exceptionally hard and durable material. This hardness has been measured at up to 2800 (85 Rc) using the Rickers method, which is well above the 2300 (81 Rc) of Titanium Nitride (TiN) alone. This increased hardness makes your tools last longer because they don't experience as much wear and tear. One of the main advantages TiAIN has over TiN and many other materials is that it retains its hardness even at higher temperatures. TiAIN has been shown to maintain durability in temperatures up to 800 degrees Celsius, which is higher than the 200 degrees of ordinary TiN. In fact, high heat is required for TiAIN to form correctly in the first place. These extreme heat levels help it to build and create an outer layer of Al203. This layer is crucial to TiAIN’s durability and longevity as a coating. In addition to providing your tools with a harder, more protective surface, TiAIN also lasts longer. Titanium Nitride alone has been shown to increase the service life of standard tools by three to four times their original rating. TiAIN, on the other hand, can improve this number substantially. Depending on the device and the conditions it’s used under, TiAIN has been shown to increase its service life by up to ten times -- giving you much more out of your tools in the long run. The benefits of using TiAIN start from the very beginning of the process. TiAIN sticks to its target surface through a strong molecular bond which actually forces it to connect right to the substrate metal. This bond ensures a stronger grip that will keep the coating on your tools for a much longer time. Now, you don't have to worry about chipping, scratching or flaking. The way TiAIN works is pretty amazing. In addition to the molecular bonding mentioned above, TiAIN has a thin layer of AL203 on the outside. This layer of aluminum is low in friction and resists oxidation, which means that it will last longer without wearing down or being chemically eroded. When this inevitable wearing down does occur, however, the TiAIN itself forms new Al203 to replace what is lost. Simply put, your tools will stay in pristine condition, even after heavy use. Another benefit of TiAIN is how it readily reproduces the original surface. Because of its thinness (most coatings of TiAIN are around 3 micrometers), TiAIN allows the original surface texture to come through the coating. This makes it possible for the tool to maintain its unique composition and feel. This also minimizes the possible buildup that could accumulate with other surface applications. Overall, how the instrument feels and operates before the implementation of TiAIN is the same as how it works after, without any visible or tactile changes. 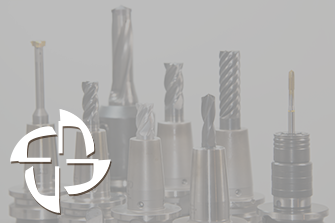 If the environment matters to you, then here’s another benefit of using TiAIN to coat your tools; it is produced by a method known as PVD or Physical Vapor Deposition. This is an environmentally-friendly process of manufacturing that alters the material by turning it from a condensed substance to a vapor -- and then condensing it again into a thin film. As you can see, Titanium Aluminum Nitride is a substance that offers superior coating to your machine tools. In addition to the usual protection afforded by such a process, TiAIN provides increased hardness and durability, while allowing your devices to work at higher temperatures without any negative impact on their effectiveness. This coating is long-lasting and durable, but should its outer layer undergo any wear and tear while being put to the test, its chemical makeup allows it to self-repair to an extent, forming a new outer layer. TiAIN is definitely a coating that offers some advantages. If you're interested in finding out more about TiAIN and other coating methods, contact us today.